Who doesn’t know about WhatsApp? Almost every person with a smartphone uses it to connect with friends and colleagues. But, this time the WhatsApp is in the news not as a social app but as a payments app. Facebook has now decided to roll out payments feature in WhatsApp for everyone. Note that it has been testing this feature as a beta in 1 million selected smartphones for a while. Facebook is the parent company of WhatsApp. 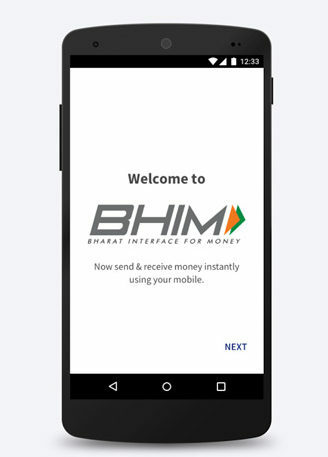 WhatsApp will use BHIM UPI (Unified Payment Interface) to allow users to send person-to-person payments. But there is a big question for WhatsApp? Will this move be successful? Because the payments field is already crowded with so many great apps like BHIM, PhonePe, Tez etc. In this post, we are going to talk about what are the key challenges. What Should WhatsApp do to be the King of Payments? WhatsApp is known to be a fast, light-weight and feature-rich social-messaging app. But it wasn’t earning revenues with its social messaging model. Perhaps that’s why its creators sold it to Facebook. And to be honest, Mark Zuckerberg knows very well that how to earn money from nothing. When he launched Facebook, everyone was saying that this project would earn nothing. But, you all know where Facebook is now. Same was the case for WhatsApp too. When Facebook bought WhatsApp, everyone was sure that Mark would modify its features to earn money through it. And now it is confirmed in the form of payments feature. WhatsApp will offer in-chat payments, unlike other payment specific apps who offer payment as their key feature. The key feature of WhatsApp will continue to be the social messaging. Payments feature will be added as an add-on feature. And you will be able to send and receive payments just from WhatsApp chat interface. You can also request money on the chat interface from the person you are chatting with. Launch WhatsApp and go to settings. Tap on Payments option to start the activation process. WhatsApp will then use your number to check the linked bank accounts. Note that, WhatsApp uses the same number that you linked with WhatsApp. Tap on the bank account that you want to link with WhatsApp and done. Now you can send money to your friends using WhatsApp. The Payments feature of WhatsApp is different from most of the UPI apps. It has certain issues that make the road-to-success for WhatsApp uphill. I will talk about those issues lately. But first, let me tell you the major rivals of WhatsApp payments that are currently ruling the market. The first in the list of major rivals is, of course, Paytm. It is the app that actually renamed the mobile payments to ‘Paytm Karo’. In the beginning, it was using its wallet feature to let users receive and send small payments. But, now it has its own Paytm Payments Bank and offers large payment through UPI service. Along with payments, it also has other features like recharge, bill payments, ticket booking etc. And it also has a shopping app called Paytm Mall. Literally, Paytm is perhaps the biggest name in the payments sector. And beating it in terms of payments would definitely not be easy for WhatsApp. Earlier, the main USP of the Paytm was the fast payments using wallet. But now, its Paytm Bank has taken the place as the main feature. And WhatsApp is now targetting both of these areas. WhatsApp is going to offer only send payments as you send chat messages to your friends. Sometimes having too many features is a downside. And that’s the case with Paytm. Due to dozens and dozens of features, Paytm’s interface is cluttered. For a newbie, it would be very difficult to find the Bank to Bank Payment features. Hence, if WhatsApp wants to beat Paytm in the UPI payments then it needs to be extremely simple. And, I think, it should be easy for WhatsApp. Because isn’t being simple and fast is the main USP of the WhatsApp till now? PhonePe is another big player in the payments area. It also offers similar services as Paytm except a shopping platform. The PhonePe’s was launched as a UPI app with other features like recharge and bill payments. And it has made its name in quite a few days due to its being fast and simple. It allows you to link as many accounts as you want and switch to them while making payments. I have used UPI feature in almost each of these apps, but I found PhonePe the fastest. Whether you are recharging your phone or paying someone using account details or UPI ID. PhonePe does it all in just a few taps and seconds. You can easily pay bills through the Phonepe app, as well. However, in WhatsApp, you can link only one account at a time. Almost each UPI payments app allows you to send money to any UPI user regardless of app platform. But WhatsApp limits you to its own app users. You can only send money to the users who have activated UPI payments in WhatsApp. Google Pay (Tez) is the most competitive app not just for WhatsApp payments but for any other payments app out there. Because it offers handsome incentives in form of digital scratch cards on the payments. And Google is also promoting its app through various digital mediums. It also gives incentives to users who share it with their friends. And it is also one of the best apps in the payment department too. It offers a revolutionary cash mode that uses audio signals to detect the user. The Tez gives the facility to pay bills of more than 100 billers. This feature lets you send payments using without knowing any details of the receiver. Payments through Google Pay (Tez) are also fast and secure. Unlike Paytm and PhonePe, Google Pay (Tez) offers three layers of security by default. The first level is your handset and mobile number, second is the password you use to unlock your phone. And the third is the UPI PIN that you must need to enter for making any payment using Google Pay (Tez). On the other hand, WhatsApp only offers two layers of security, your handset, and mobile number as well as the UPI PIN. It doesn’t require password while opening the app. The WhatsApp is claiming that the Two-Factor authentication is enough. But if we talk about the security of our hard-earned money, more is always better, isn’t it? Simple, minimalistic, fast, secure and trustworthy. These are the words that describe BHIM UPI App. This government app offers nothing extra than the payment features including bill payments. This government app came sometimes after the demonetization and ruled the UPI Payments sector for a while. Now, this app also offers the Bill payment facility. Even It is giving handsome cashback rewards to its users. However, after other apps came, the graph of popularity gone down. But still, it can give a tough competition to WhatsApp because of its simplicity. Simplicity is the common factor in both these apps, hence the fight to become simplest will be interesting. Let’s see how WhatsApp implements payments and make them simple at the same time. Because it already has many features, making the balance between lots of features and simplicity is a tough task. There are quite a number of bank-specific payments apps also. But, to be honest, most of them are not quite good to compete with WhatsApp payments. They are buggy, slow and not so user-friendly. Only a few of those are good enough to stand out in the market including ICICI Pockets, SBI UPI App etc. Though they do offer UPI activations for bank accounts of other banks. I talked to too many people including tech-enthusiasts, WhatsApp users, and other UPI app users. I even talked to people who are working in the payments sector. And most of them suggested some features to include in WhatsApp Payments. Some say it should be more secure and some say it should support inter-platform payments. Will it make WhatsApp Successful? I would say, no. If WhatsApp adds all the features of a payments app, then it will become a payment-centric app. It might get success in the payments sector and get to the top. But at the same time, it will become heavy and cluttery just like Paytm. And who wants a slow messaging app? None. I suggest WhatsApp offer payments just like it offered in beta version i.e. in-chat payments. This way users will be able to send money directly while chatting with the same person. And the focus of the Mark Zuckerberg should be to not ruin the messaging feature of the WhatsApp. Because that’s what we are using WhatsApp for. Most people say that it has a huge active-user base and that would be a plus point for it. But believe me, those users are active in WhatsApp because of the messaging feature. And if Facebook tries to ruin it just to make some money. Then the user-base will definitely come down significantly and give WhatsApp run for its money.